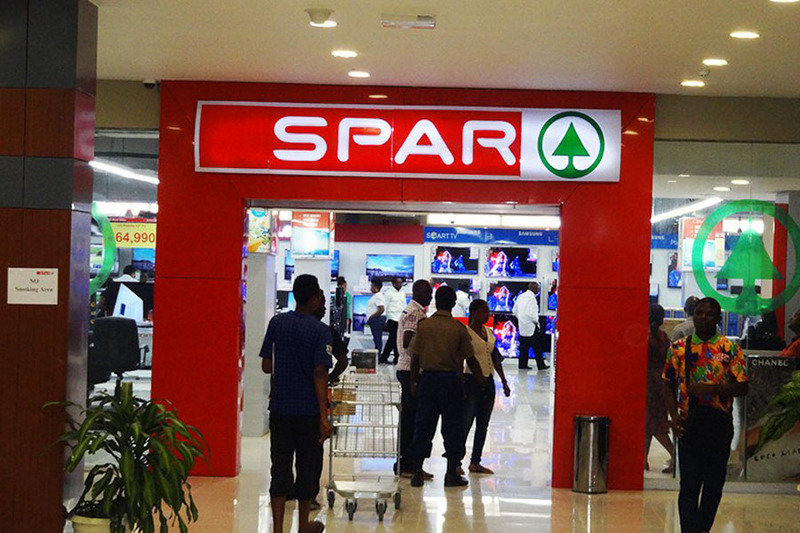 SPAR BLACK FRIDAY: SCAM OR OVERSIGHT? November comes with so many pointers; like the slight signs of harmattan reminding you that the year is almost gone, the early signs of Christmas whispering to you about upcoming festivities and most crucial is the Black Friday rush informing you about all the things you need to shop for. At the sound of it, the crowd literally goes wild! When lots of people flood into malls and over surf the internet just to get products at reduced prices, then you can bet the Black Friday promos have begun. 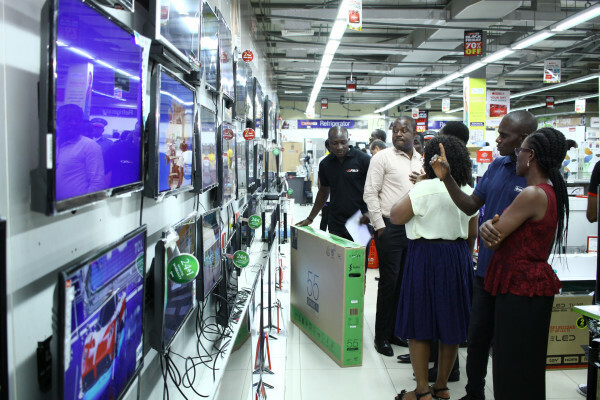 For most consumers, it is the season of ‘no dulling’ as they try to take advantage of this period, grabbing as much products as they can while the prices are still slashed. Some customers practically anticipate for periods like these when they could get more with little cost. 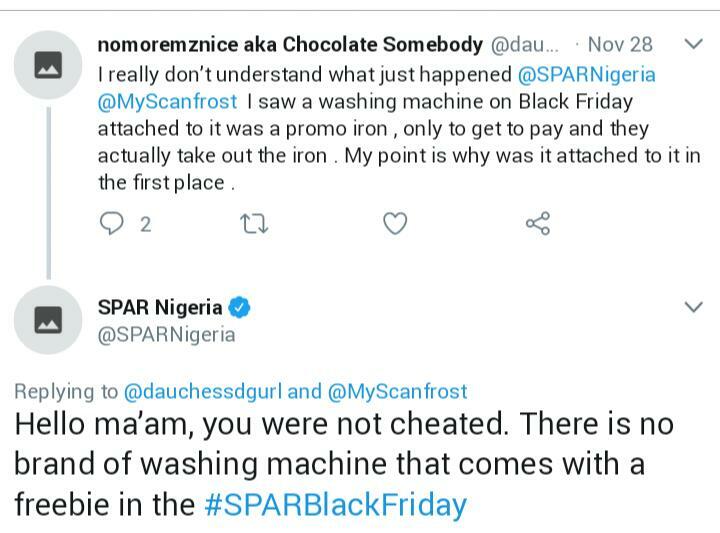 However, there is a twist to the proposed promos as some customers display their dissatisfaction on their social media platforms. 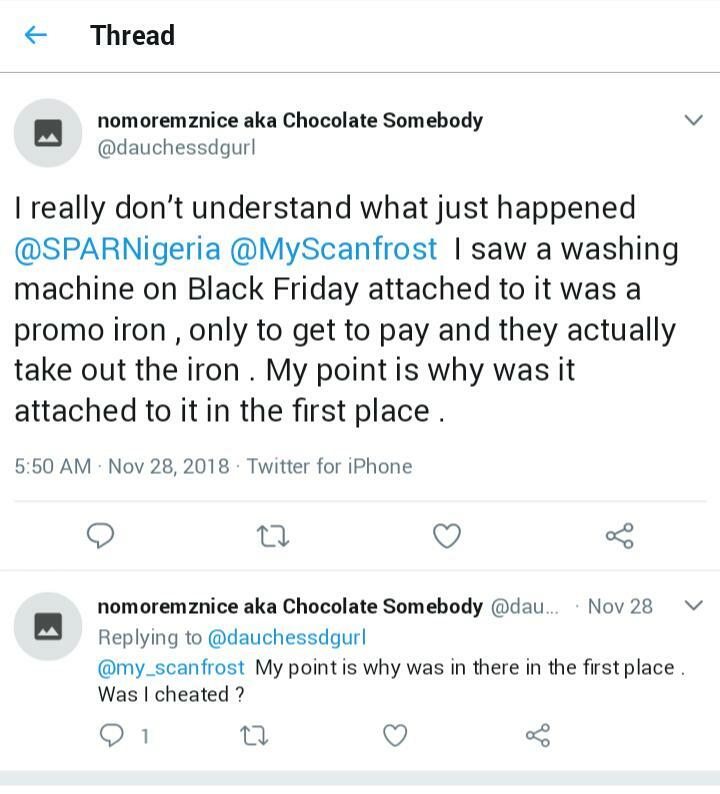 In particular, some referred to the promos in the largest mall in Port Harcourt, SPAR, as scam. Most customers had gone hoping to get some products for a lesser amount only to be told otherwise at the counter and as expected, their disappointment knew no bound. 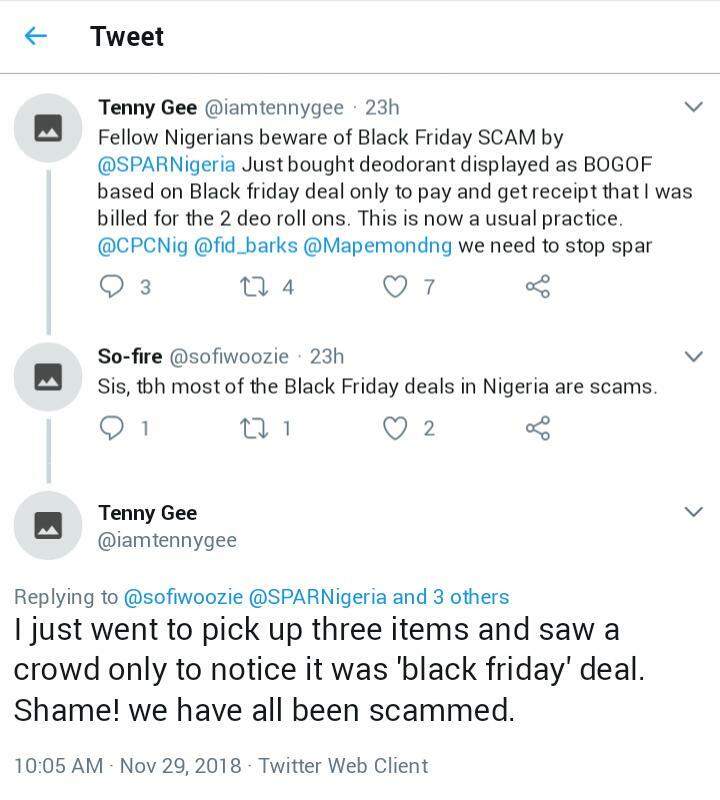 During a visit to the mall, we approached a couple of customers and one of them claimed she observed that the prices of some products were raised a few months before Black Friday began and then slashed down to the original price when the promos started. 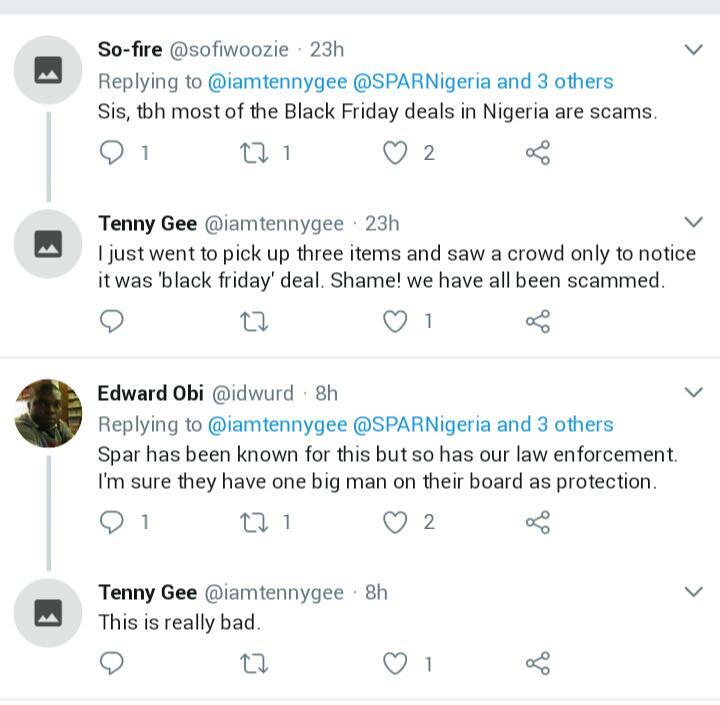 Due to the thread of bad report about the SPAR Black Friday deals from some customers, the Mapemond team thought it wise to hear the side of the management at SPAR shopping mall. Speaking to one of the in-house staff, who said they always kept their words and would never put out a promo they wouldn’t adhere to. 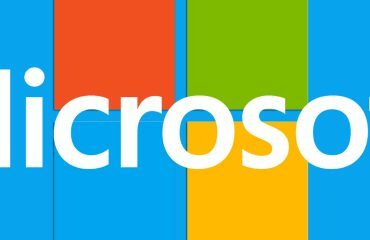 Though he mentioned that sometimes they could make the physical changes on different aisles, and then the systems retain the previous prices of the products. He said all a customer needed to do was to lay complaints regarding the situation and be rest assured that there would be refunds. Following the outcome of events, a few consumers have concluded that the mall is not trustworthy since they breached their promises. Nevertheless, the mall remains filled with flocks of customers who continue to enjoy the rush of excitement that accompanies Black Fridays. 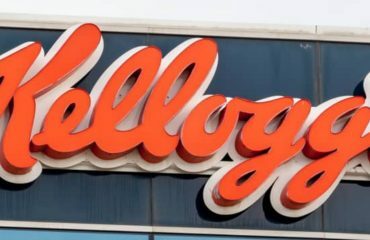 Well, having heard from both sides, we can’t help but draw some insights about how bad publicity can spoil many years of good reputation of any brand. However, we believe that if a brand is built firmly on a solid foundation of some core values, such as integrity and transparency, then regardless of any bad report, the firm will definitely pull through and stand tall. 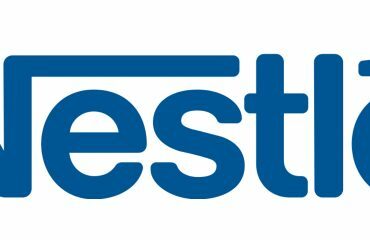 When core values are strongly held by the organisation, customer’s trust grows and is sustained. This is because most customers feel safer with your brand if you have remained consistent in words, actions, products and services you rendered over the years.